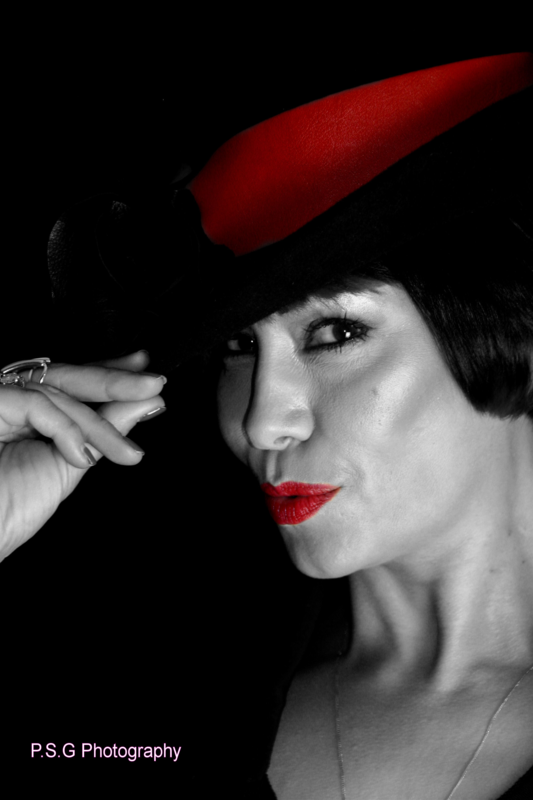 Saffron from Republica looks amazing in her Katie Vale hat! A few months ago I was lucky enough to have the amazing Saffron Sprackling from Republica come to visit me in my studio. Saffron & I had chatted on the phone before she came in, so I had a rough idea of what she wanted. As you are all aware red & black are her signature colours; so that was easy to decide on! 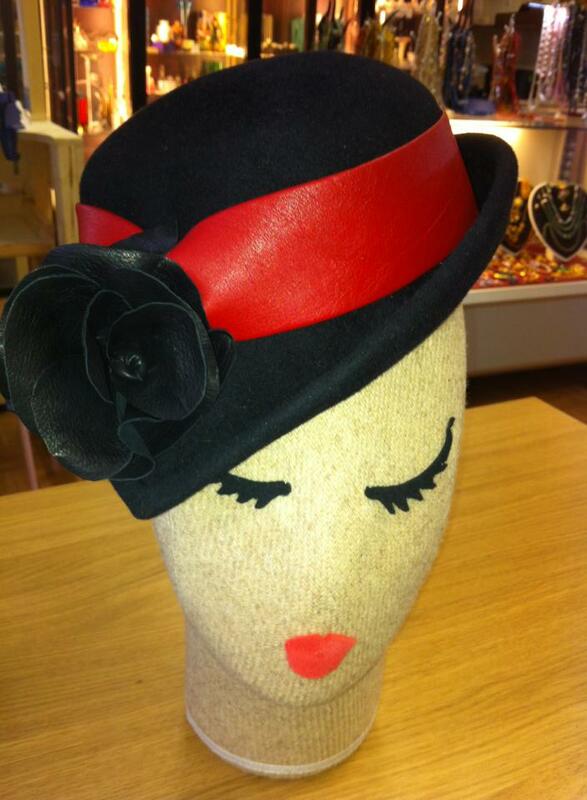 Saffron tried on this hat and the size was perfect for her; both of us loved the assymetrical brim on her too. We liked that it was a traditional hat with a qiurky edge to it. I made Saffron’s hat in black felt and we rounded the crown of it too, to give a softer feel. I then added a red band, giving a flash of her trade mark colour. 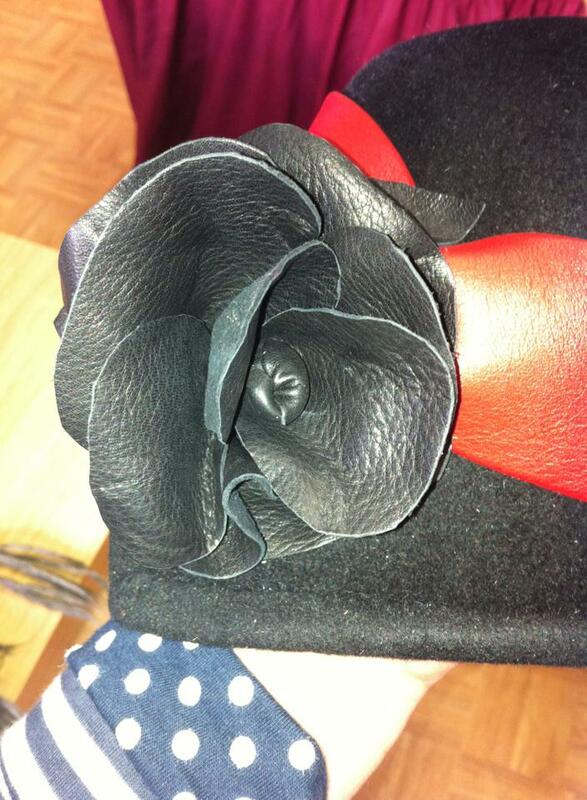 And at first this hat also had 2 pom poms, like the original blue design, but it just didn’t seem to work as well….so we went for a black rose instead. Here are my shots of it on my iphone in my studio, before I sent it to Saffron. Photo’s with permission from P.S.G. Photography. Thank you Saffron for sending me these images. You are fabulous! 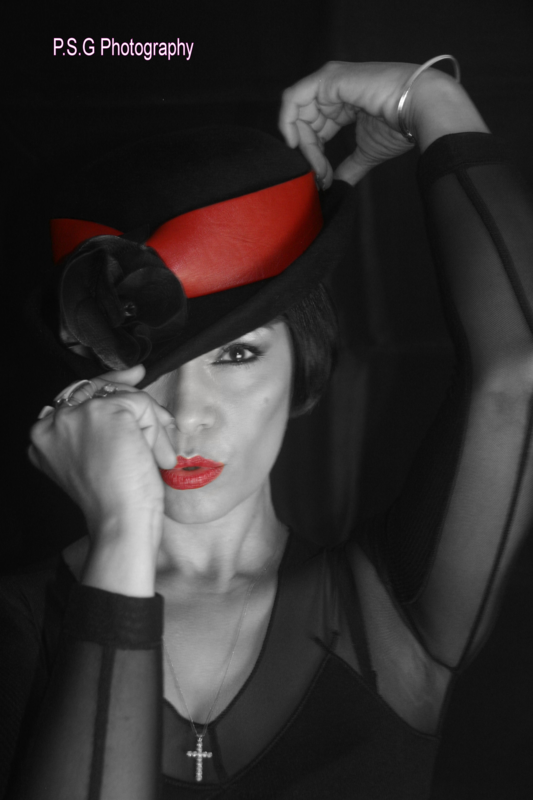 This entry was posted in General News and tagged Asymmetrical, black, bright, colour, fashion, fedora, Felt, Hat of the Week, headwear, milliner, Millinery, Red, Republica, Saffron, Saffron Sprackling, Velvet, vibrant by Katie Vale. Bookmark the permalink.